The Small Town Poker Tour (STPT) finishes the 2007 season with two Louisiana events. The STPT continues its quest to raise awareness and funds for charities around the globe. The events will benefit the United Way of Acadiana and the Lake Charles Symphony. The Small Town Poker Tour will visit the Cajun Dome Convention Center in Lafayette, Louisiana November 2 and 3 for an event that will benefit the United Way of Acadiana. "The tournament has been moved to the Cajun Dome Convention Center to accommodate the crowd, last year we had almost 700 players this year we are setting up for 1000, " stated STPT Creator Mark Fracalossi. 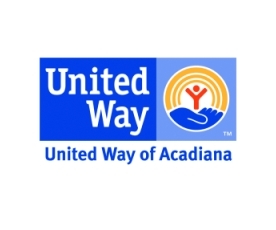 "The United Way of Acadiana does a remarkable job in this region and the support from the players was astonishing", Fracalossi added. The tournament will be a two day event. The buy-in for the event is $100+10 for $16000 worth of tournament chips. First place prize for main event is a $10,000 Visa Gift Card with a $5000 Visa Gift Card being paid to second and $3000 Visa Gift Card for third. The tournament will also have a second chance event with over$10,000 Visa Gift Card payouts. The tournament has been moved to the Cajun Dome Convention Center to accommodate the crowd, last year we had almost 700 players this year we are setting up for 1000, Tournament Directors for the event are Saul Hakim and Moose Antley. "I know Saul and Moose for quite some time. They run a fun game and have an excellent following of players," Fracalossi Added. Title sponsors for the event are; Superior, P2S, Venture, Alford Services, Broussard Brothers, and Chevron. The Jefferson Street Pub in Lafayette will be hosting an after party on Friday night. The band A Dollar Short has agreed to perform pro bono to support the United Way. One free drink will be given to all event participants. The STPT then returns to Louisiana Friday November 30 for a one day event to benefit the Lake Charles Symphony. The event will be held at the Lake Charles Civic Center. The Small Town Poker Tour travels the world conducting and promoting poker events to raise awareness and funds for local and national charities. The STPT has produced events for charities such as, The United Way, Lions Club International, Boy and Girls Clubs,Corps of Compassion and many more. The STPT management team also lends its hand behind the scenes in many charity, corporate and celebrity events.